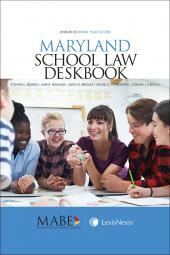 Maryland School Laws and Regulations Annotated is an essential resource for Maryland education professionals. This publication contains fully annotated statutes from Michie's Annotated Code of Maryland, with case annotations, legislative amendment notes, Editor's notes, and a subject index. 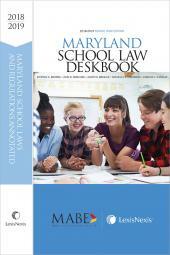 Complete with a fully searchable and user-friendly CD-ROM, Maryland School Laws and Regulations Annotated is the essential primary law resource for school principals, administrators and education attorneys in Maryland. Article 24. Political Subdivisions—Miscellaneous Provisions. Article 49B. Human Relations Commission. Title 5. Pesticide and Pest Control. Title 3. Courts of General Jurisdiction -- Jurisdiction/Special Causes of Action. Title 5. Limitations, Prohibited Actions, and Immunities. Title 3. Other Crimes Against the Person. Title 5. Controlled Dangerous Substances, Prescriptions, and Other Substances. Title 6. Crimes Against Property. Title 9. Crimes Against Public Administration. Title 10. Crimes Against Public Health, Conduct, and Sensibilities. Title 14. General Sentencing Provisions. Title 1. Definitions; General Provisions. Title 2. Law Enforcement Procedures; Arrest Process. Title 6. Trial and Sentencing. Title 11. Victims and Witnesses. Division II. independent and Regional Development Units and Resources. Title 10. Statewide Development Resources and Revenue Authorities. Division I. Definitions; General Provisions. Division II. Elementary and Secondary Education. Title 2. State Department of Education. Title 3. Establishment of County Boards of Education. Title 4. Local School Administration. Title 6. Teachers and Other Personnel. Title 8. Special Programs for Exceptional Children. Title 9. Maryland Public Charter School Program, §§ 9-101 to 9-112. Title 10. Definitions and Maryland Charter for Higher Education. Title 11. Maryland Higher Education Commission. Title 13. University of Maryland -- General Provisions. Title 15. Public Institutions of Higher Education. Title 17. Financial Aid to Institutions of Higher Education. Title 18. Student Financial Assistance. Title 19. Auxiliary and Academic Facilities Bond Authority, § 19-102. Division IV. Other Education Provisions. Title 21. Career and Technology Education Programs. Title 22. Educational Services for Correctional Institutions, Juvenile Services, and Hospitals. Title 24. Miscellaneous Education Agencies. Title 26. Prohibitions and Penalties. Title 6. Toxic, Carcinogenic, and Flammable Substances. Title 1. Estates of Decedents -- General Provisions. Title 13. Miscellaneous Health Care Programs. Title 8. Children, Youth, and Families. Title 3. Employment Standards and Conditions. Title 9. General and Administrative Provisions. Title 20. Taxes and Development Impact Fees. Title 21. Special Taxing Districts. Title 6. State Fire Prevention Commission and State Fire Marshal. Title 9. Fire Protection and Prevention. Title 10. Fireworks and Sparklers. Title 12. Building and Material Codes; Other Safety Provisions. Title 4. Department of General Services. Division II. General Procurement Law. Title 16. Suspension and Debarment of Contractors. Title 17. Special Provisions -- State and Local Subdivisions. Title 9. Miscellaneous Executive Agencies. Title 11. Vehicle Laws -- Definitions; General Provisions. Title 13. Vehicle Laws -- Certificates of Title and Registration of Vehicles. Title 16. Vehicle Laws – Drivers' Licenses. Title 21. Vehicle Laws -- Rules of the Road. Title 22. Vehicle Laws -- Equipment of Vehicles. Title 7. Department of Human Resources. Title 9. Department of Labor, Licensing, and Regulation. Title 10. Department of Health and Mental Hygiene. Title 11. Department of Transportation. Title 13A. State Board of Education. 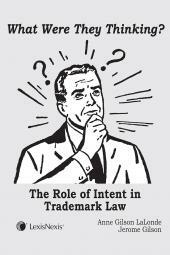 Title 19A. State Ethics Commission. Title 21. State Procurement Policies. Title 23. Board of Public Works. Title 26. Department of the Environment. Title 28. Office of Administrative Hearings. Title 30. Maryland Institute for Emergency Medical Services Systems (MIEMSS).